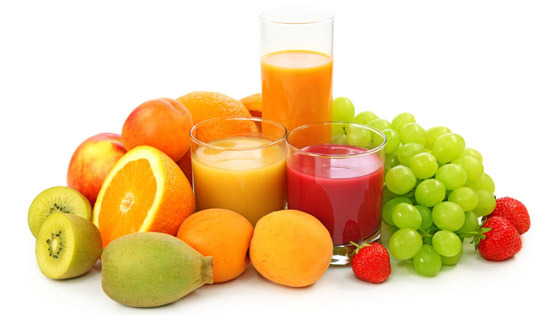 Fruit contains valuable minerals, vitamins, enzymes and fiber. It is easily digested and most are alkalizing, cleansing and balances overuse of rich foods particularly those of concentrated proteins. The alkaline element combined with its acids stimulates the liver and pancreas. Let’s look at the health benefits of some fruits for examples. Apples produce fluids for your body. They particularly moisten dryness of the lungs, protects the lungs from cigarette smoke, stimulate the appetite and remedies indigestion. Avocados build the blood, harmonize the liver, and lubricate the lungs and intestines. They are a natural source of lecithin, which is a brain food. More than 80% of the caloric content is easily digested fat in the form of monounsaturated oils. They are rich in copper, which aids in red blood cell formation, and are a nutritious protein source. Purple grape juice offers most of the same benefits for the heart as red wine but the moderate level of alcohol in red wine does offer one more apparent benefit: It increases HDL, the good cholesterol. Reservatrol, another constituent of grapes, has demonstrated anti-cancer and chemopreventative activity, and may also protect and maintain brain and nerve health.